NASA’s next flagship space telescope and Hubble successor is facing another significant launch delay and potential budget overruns after testing on the spacecraft fell behind schedule and a number of unforeseen problems – including workmanship errors – cropped up in recent months. The James Webb Space Telescope (JWST) is now looking at a launch date in May 2020, or possibly even later, and cost overruns may require the project to go through a Congressional re authorization review if running over its latest budget cap at $8 billion. NASA announced the delay from the mission’s latest launch target of June 2019 on Tuesday after an independent review by the Government Accountability Office (GAO) had already warned of additional delays and cost overruns in February. The $8 billion spending cap and an October 2018 launch date had been established in 2011 after a reboot of the project after facing cancelation due to slipping schedules and exploding costs. February’s GAO report warned that the integration and testing phase would be “where problems are most likely to be found and schedules tend to slip.” This appears to be precisely what is occurring for JWST as NASA officials detailed a number of problems that cropped up in recent months including unexpected behavior during vibration testing, tears in the telescope’s sun shield, difficulties with the craft’s propulsion system and workmanship errors. 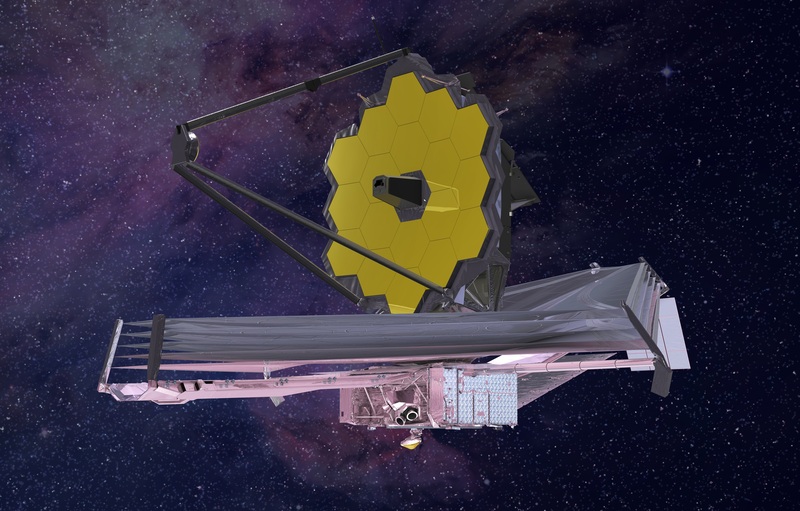 In December 2016 – the time of the last GAO review of JWST – the project was noted to be on schedule for its planned October 2018 launch window with around six months of schedule reserve. However, it was cautioned that 2017 would be a pivotal year as the spacecraft entered its integration and testing phase where issues were likely to emerge and begin consuming that precious schedule margin. 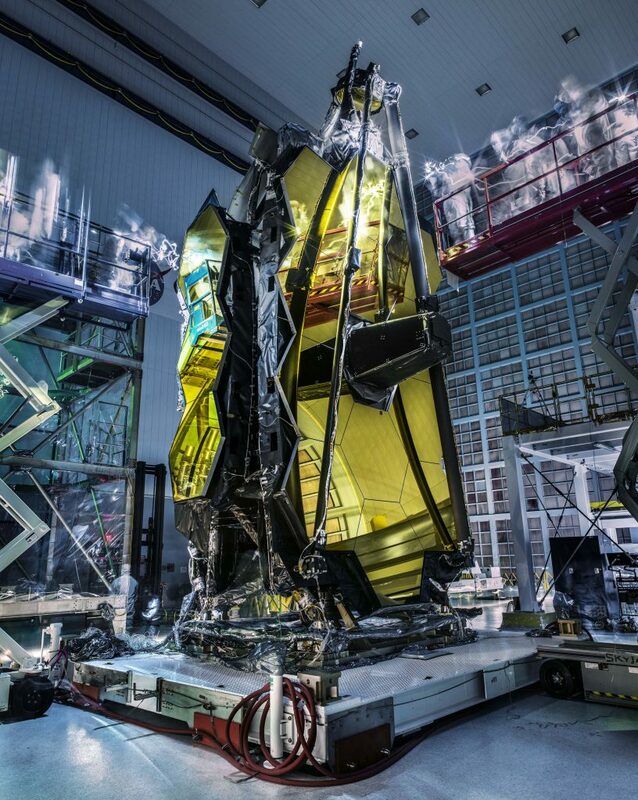 Vibration testing had to be halted for six weeks at the turn of 2016/17 due to unexpectedly high vibrations that turned out to be related to the launch restraints of the telescope mirrors and were not of particular concern. In April 2017, a human error during electrical testing applied too high a voltage to the propulsion system which required a number of components to be replaced – at the expense of another month of schedule margin. More bad news emerged in May when half of the spacecraft’s sixteen thruster modules were found to be leaking because of a solvent used for decontamination, requiring the units to be sent back to their manufacturer for refurbishment. 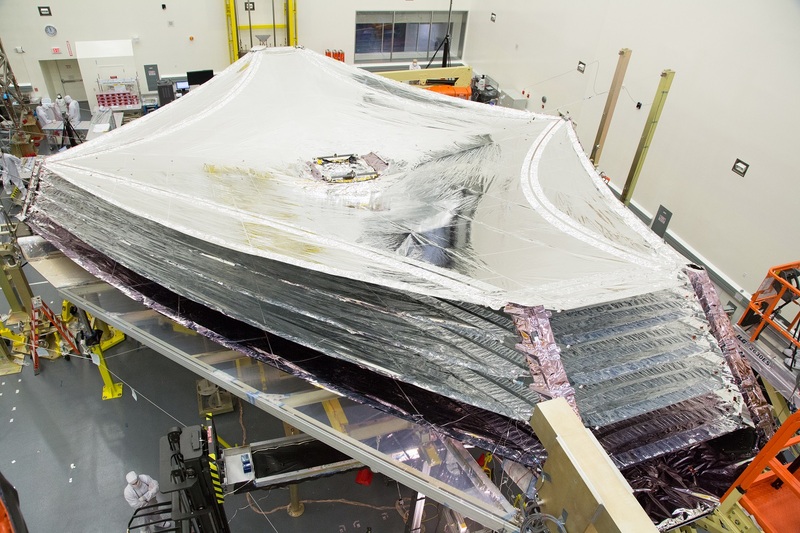 Last October, engineers found several tears in the craft’s multi-layer sunshield plus issues with the six membrane tensioning assemblies after already encountering challenges during deployment and re-folding of the structure for testing. Re-working the project’s schedule last summer, NASA implemented what was believed to be reasonable schedule margin of five to six months when shifting the launch from October 2018 to May/June 2019. However, shortly after moving to the new date, NASA learned from prime contractor Northrop Grumman that another three months of schedule reserve use was required to account for the complexities encountered with the sunshield re-folding. 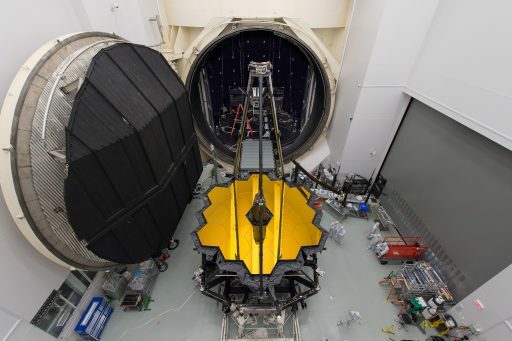 Northrop was criticized by the February GAO report for persistently underestimating technical challenges which prevented the company from reducing the workforce on JWST as was planned per the project’s budget. 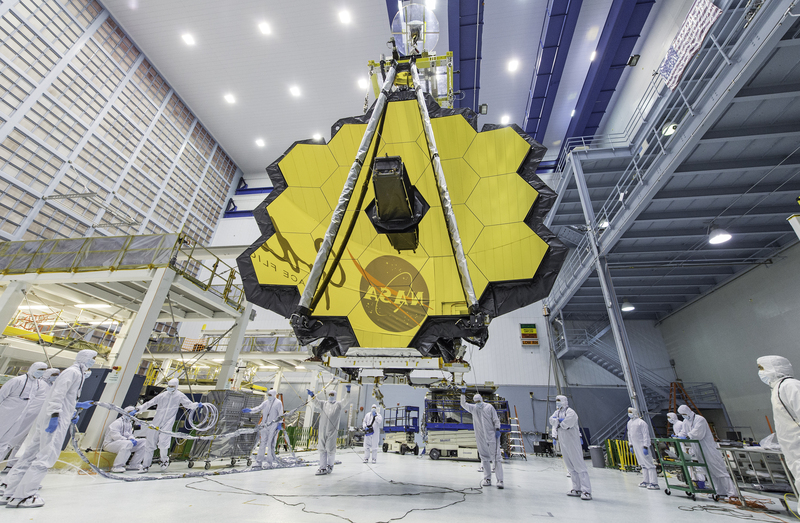 By the end of February 2018, JWST only had around 1.5 months of schedule reserve and was still over a year from its revised launch date – creating a situation well below the standards established by the Goddard Space Flight Center for this stage of the project. The result was Tuesday’s announcement of moving the JWST launch date into 2020 with additional work required to nail down an exact target as the confidence level for making the May time frame was only 70% according to Thomas Zurbuchen, Associate Administrator of the Science Mission Directorate (SMD). The recommendation for delaying the launch came from the project’s Standing Review Board (SRB) and NASA decided to instate an external Independent Review Board (IRB), chaired by Thomas Young, to evaluate the remaining integration and testing activities before defining a more specific launch time frame. The issues cited by NASA as the drivers of the year-long delay, specifically the sunshield problem and thruster refurbishment, were discussed at length in the February GAO report which indicated JWST still had 1.5 months of schedule margin despite these items but identified five additional areas that could pose threats for additional schedule slips. These included the integration of the telescope’s primary instrument with the spacecraft platform, moving the spacecraft through environmental tests and dealing with 47 known risk items on the hardware and software side. NASA did not provide specifics on how much this latest delay would cost, but some estimate that the additional cost could be several hundred million USD. 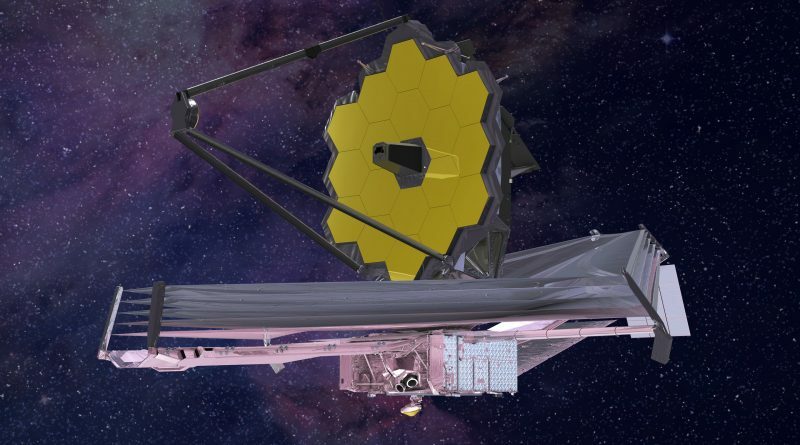 If the IRB finds JWST will breach its $8 billion cost cap, the project would have to go through a Congressional re-authorization review. The delays and issues faced by Webb are not completely unexpected given the mission’s complexity and no possibility of correcting any hardware deficiencies after launch. 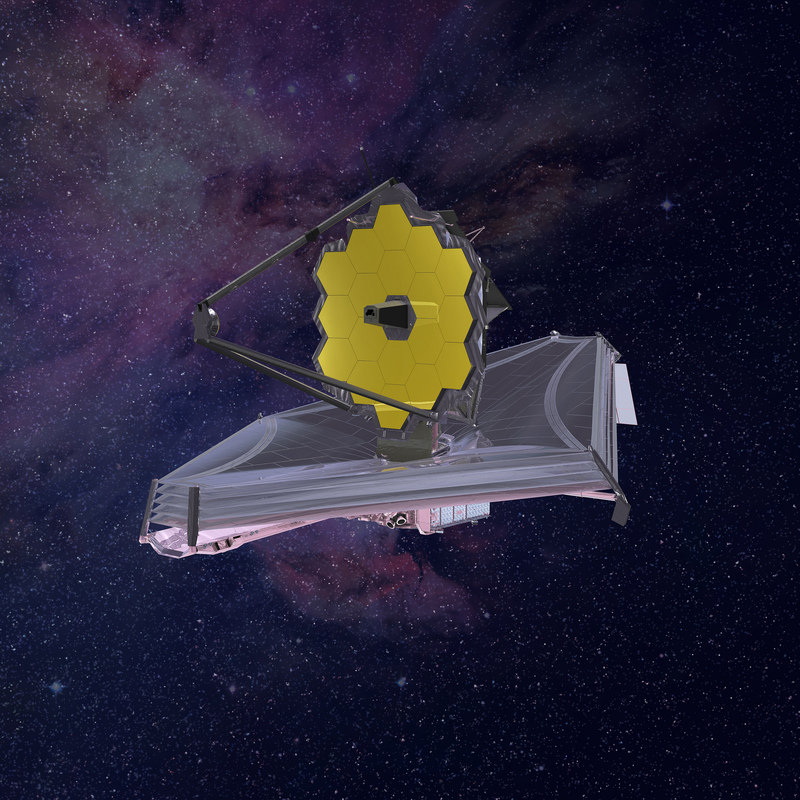 Unlike Hubble that operates in Low Earth Orbit, JWST will conduct its mission 1.5 million Kilometers from Earth – out of reach for current and near-future in-space servicing capabilities. NASA advertises Webb’s infrared vision to exceed Hubble’s by a factor of 100 and plans to use the telescope for exploring the first stars and galaxies to form after the Big Bang and study Exoplanets in the habitable zones around their host stars.